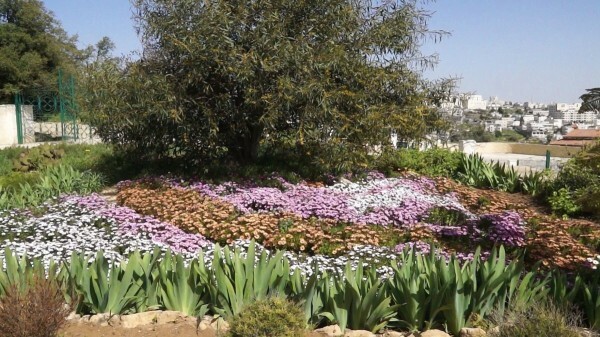 Jerusalem, April 7, Interfax - Visitors will be able to see over 120 plants mentioned in the Old and New Testaments at the representation of the Russian Ecclesiastical Mission in Hebron on the West Bank of the Jordan River. The ‘Biblical garden’ will be cultivated there in several years. Active landscape works headed by the representation sacristan Hieromonk Alexey (Yeliseyev) are being conducted there. He has spent two years in scientific research, the mission reports at its website. Plants will be divided in zones and frequency of mentioning in the Bible. It is supposed that plants known from the times of Israelite exodus from Egypt and from books written by Old Testament prophets will be located near ancient tombs. Barley, wheat, rye and a vineyard will be planted near the church. Growing together they embody the theme of Eucharist. Plants used during the divine services at the Old Testament temple will also be represented in the garden. It is planned to dig a well in the center of this lot as a symbol of purification and source of life – Christ. Guided tours for pilgrims will start from the Oak of Mamre where, according to the tradition, the Holy Trinity visited Abraham. Other characteristic for the Holy Land trees – olives, pines, cedars of Lebanon and cypresses will grow near the well-known oak. Vine will be planted higher at the lot and there will be a flowerbed with lilies, roses and various rare flower mentioned in the Bible near the residential buildings.